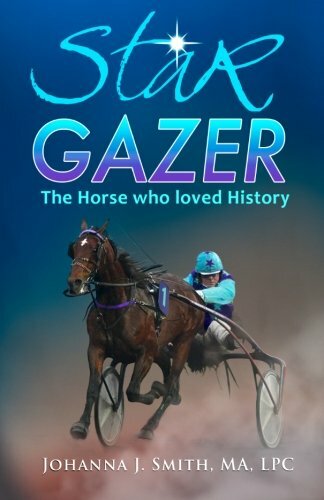 Star Gazer, The Horse Who Loved History is the first in a series of books for children about a brave race horse and his adventures around the world learning history and spreading a message of world peace. Star Gazer's a beautiful horse, with a lovely white star on his forehead. He's also smart and loves to learn new things. Unfortunately, as a racing horse, none of these things matter. All that counts is winning races, and Star Gazer always comes in last. When his angry owner sells him, Star Gazer feels like a loser, but his life improves. Pulling a carriage of tourists through the streets of Philadelphia may be hard work, but he gets to learn all about US History and the Constitution and meets people from all over the world. He realizes how important world peace is, but how can a horse help? Even a horse that saves the President of the United States? of Philadelphia and the revolutionary war. And as Star Gazer learns, the young reader will learn to appreciate our history and our form of democracy. A great way to introduce your child to history and our country. Star Gazer is a delightful book with a super-smart horse as the central character. The book is designed to teach some basic ideas about American history, including the Constitution and the Declaration of Independence, as well as the benefits of knowledge, perseverance and courage. More importantly, it addresses the hope for a better world. It would be an excellent read for an elementary student.